Kelomees, R. (2014), Constructing Narrative in Interactive Documentaries. 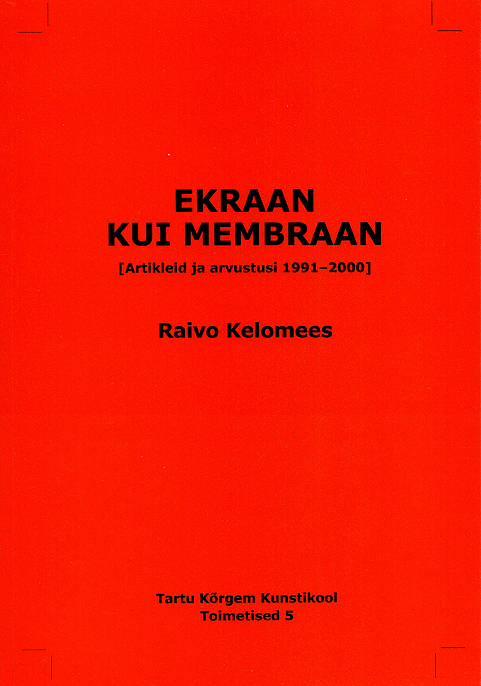 Raivo Kelomees, Chris Hales (Eds.). 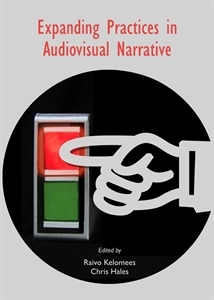 Expanding Practices in Audiovisual Narrative (59 - 104). Cambridge Scholars Publishing. Link to publishers site. Kelomees, R. (2014), Specialized Competence of Art Audiences and the Signature of Technology Artists: a look at the history of artscience and criteria for evaluating it. /Vaataja erikompetents ja tehnokunstniku käekiri – teaduskunsti ajaloost ja hindamiskriteeriumitest./ Veronika Valk, Piibe Piirma (Eds.). Art & Science – Hybrid Art and Interdisciplinary Research (45). Tallinn: EKA kirjastus. Link to catalogue download. Kelomees, R. (2014), Interactive Documentary “The East”: audience participation solution. In: Digital Research in the Humanities and Arts: DRHA2014 Conference, 31 august - 3 september. (Eds. )Anastasios Maragiannis. London: University of Greenwich, UK, 207 - 208. Kelomees, R. (2012), Research-Based Artworks in the Context of Hybrid Media. Acta Academiae Artium Vilnensis, 67, 73 - 88. Kelomees, R. (2009), Postmateriality in Art. 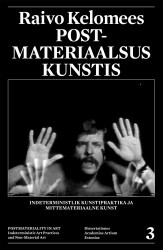 Indeterministic Art Practices and Non-Material Art. PhD Thesis. 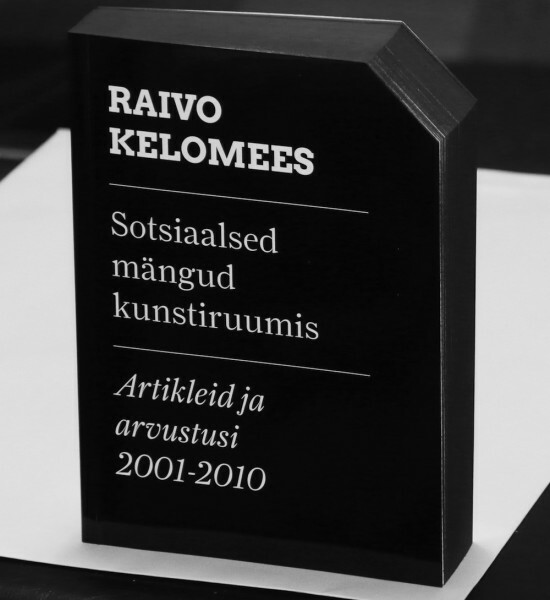 Estonian Academy of Arts. Summary pdf. CV in ETIS, Estonian Research Information System.